Adult elephant in Lake Manyara National Park. 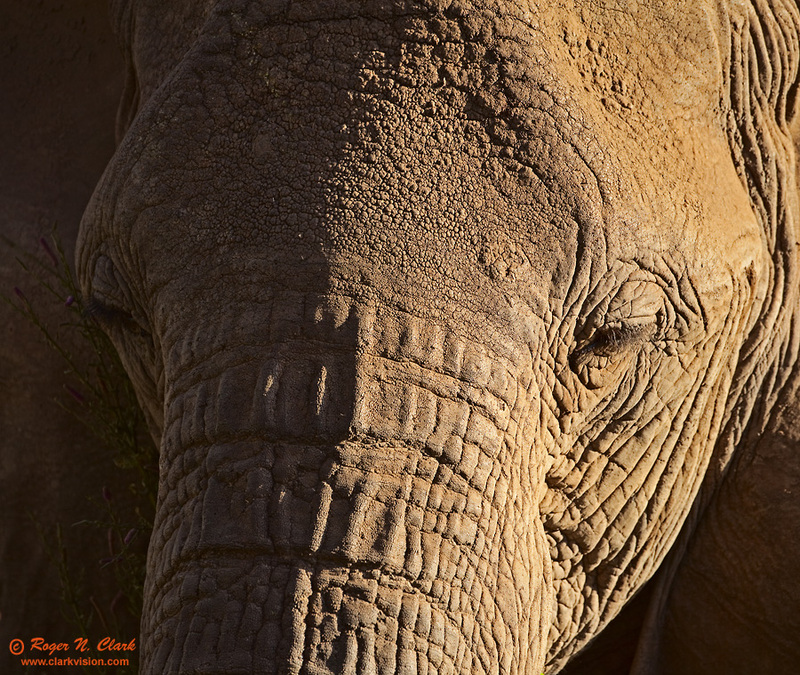 Phase angle ~90 degrees to show the fine texture of the elephant's skin. Technical: Canon 5D Mark II 21-megapixel camera, Canon 500 mm f/4 L IS lens at f/6.3. Exposure: 1/320 second at ISO 200. Full height image, cropped in horizontal direction.